Extend the life of your Lifefactory baby bottle by turning it into a sippy bottle. Perfect for toddlers, the sippy caps are leak resistant and have steady flow control. Two lids, both compatible with the 4oz and 9oz bottles. Purple colourway. Extend the life of your bottle by replacing the cap. Includes two sippy caps: compatible with the Lifefactory 4oz/120ml bottle and Lifefactory 9oz/265ml bottle (feel free to mix and match bottle and lid colour). No need to replace a whole bottle. As your baby's feeding needs change, simply switch to a sippy cap. Before first use: place in dishwasher or in boiling water for 3 minutes. This is to ensure hygiene. 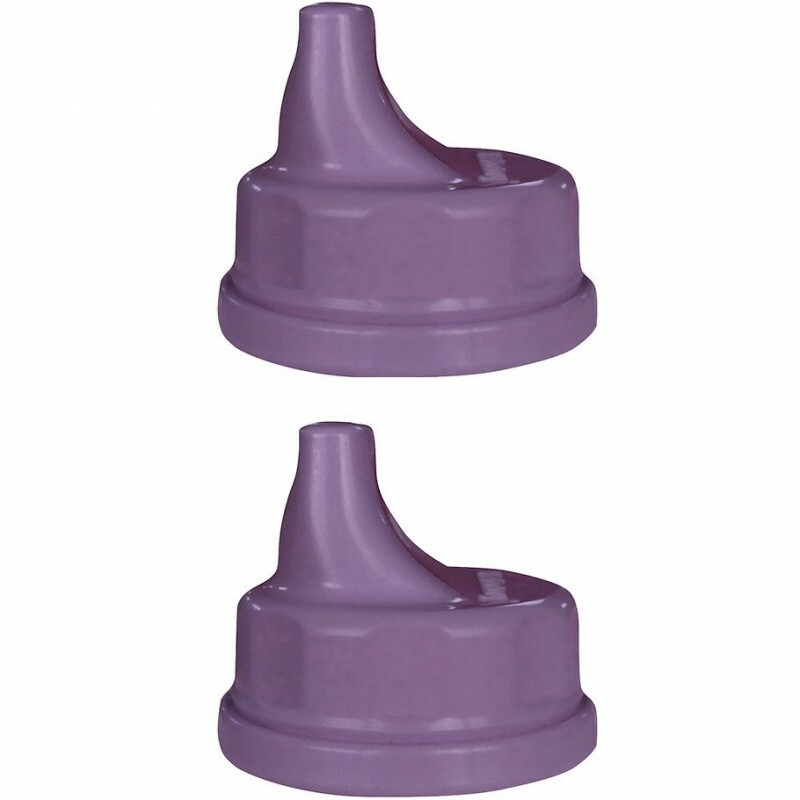 PP (polypropylene plastic) cap and silicone valve. Made in: PP Cap (Poland), Silicone Valve (U.S). Assembled in the U.S.